People are always asking how quickly can they grow their Amazon business? I'm going to tackle that question and more today! In today's episode, I share with you the four different phases it takes to successfully start and grow your Amazon business! Some people think it takes years, or have a set point in their mind for how long it will take to get their desired financial freedom. Once you find an answer to your questions, how do you create a plan that will help you get there instead of fantasizing about your goals? In the beginning of my journey, I scaled my Amazon business pretty quickly doing over £300,000 in sales during the first year. I started with no money. I started with a credit card and dream of achieving my ideal lifestyle. 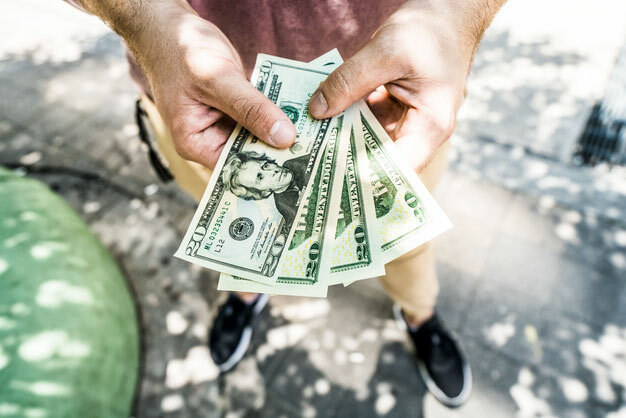 All the money I made in the beginning, I continued to re-invest that money back into the business and was able to get some amazing results doing the first year. I had been using the same strategies from those who were already successful. Yet, in the Facebook groups I was in, I would see people using the same strategies that were allowing me to become successful but they were struggling. Some of these people started before me. Looking back, I can see I was doing something different. At the end of my first year, I put out a course that showed the steps that helped me to build my business to show others how to build their own business. I called this course FBA Secrets. After the course launched, I started to get emails from my customers. I have to say I was blown away. One person did £3,000 in their first month. That was the first time I realized the power of FBA Secrets. I kept selling the course and promoting it. I knew if someone joined the course and took action, they would achieve amazing results. FBA Secrets launched in 2015 and during 2016, I thought about why the course was giving people such amazing results. People were getting results really quickly, and I was getting annoyed because I couldn’t figure out what was different from my course than all the others. I made it my mission to figure out what I had done right. After a bit of time investigating, I figured out what I had done. I had created a course that tapped into the psychology of success. This is why the course was working so well. In business there is a steep learning curve. There’s so many barriers in your way and people quit because of this. People have limiting beliefs such as I can never be successful that holds them back. In the course, I was as straightforward and results oriented as I could be. This gave my students confidence to keep moving forward. The learning curve didn’t feel as tough for them. This was the difference why my students were succeeding. You could apply everything I did into your business. The psychology of success starts with your mindset. You can never become successful if you don’t have the right mindset in place. The way to build a powerful mindset starts with becoming super confident in what you’re trying to achieve. This is the stuff that allows people to pursue their goals longer and stay in the game. With FBA Secrets, it was a powerhouse of self-confidence. The strategy was to start with small goals and gain confidence so you could keep pushing forward when you encountered obstacles. As your confidence grows so will your sales. A seed cannot grow through concrete. But the seed can grow through concrete if you first create cracks. I’m referring to your limiting beliefs that you need to let go of so you can take in everything that’ll allow you to become successful. There are four parts to The Concrete Seed Formula. If there’s anything you can takeaway, it’s using the four parts from The Concrete Seed Formula in your business. Please apply the information :). One of the most destructive, success-killing things a person can have in the beginning of their journey to building a business …is a limiting belief. There’s no way you can reach your potential if your beliefs are holding you back. This is why we tackle these head on at the start of your journey. You could have limiting beliefs about money (thinking that it’s evil, or that you don’t deserve to have much), limiting beliefs about your age, your intelligence, your gender ...the list is endless. Trying to build a business with limiting beliefs, is like a seed trying to grow through concrete. The first thing I want you to do is get a sale. You can worry about everything and anything, this is why you need to focus on getting your first sale. In phase one, you want to focus on your limiting beliefs and learn how to overcome them. Once you overcome the limiting beliefs you have, you’re ready to move onto phase two. Along with the right mindset, you need to have the right strategies put in place that’ll help you scale your business. Whatever you did in the beginning to get your first sale, you should do that over and over again. The easiest way to get your first sale is through retail arbitrage. You can also get sales from wholesale and even small imports from China. Turn the little money you have into more money. This is how you build capital. You can only do this effectively once you get through phase one. Once you’ve hit a few grand in sales, you’ll know the method you're using is working. You should know that for a business to be sustainable, they had to develop systems. This brings us into phase three. This could be sending more items into Amazon every week or contacting different wholesalers and getting different shipments from them. If what you’re doing is working over and over again, then you’re creating a system. This could become the perfect work week. You’ll know how many hours takes a certain output. You can see by how much work you put in, how much money you will be making. This will lead us into phase four. Once you’ve built a business that creates predictable results, the final phase is to ramp up your systems as quickly as possible. You’ll want to hire virtual assistants to outsource product research and to teach them how to use software to research products for you. These techniques will remove you from the labour intensive parts of your business and transform you into a ‘CEO’. Phase four is where you should really get into private labelling products. Rather than just starting off by spending thousands on a product in the beginning, you can gain confidence before private labeling. You can build up your knowledge and then start importing bigger imports. That is exactly how the concrete seed formula works. Can you see how this is so powerful? We’re going through small progressions that will allow you to succeed in your business. That’s why the FBA Secrets course differs from most courses. Imagine starting off private labeling and hiring virtual assistants, you’d be so lost and more apt to give up. It would be a disaster, this is why you need to follow the concrete seed formula. 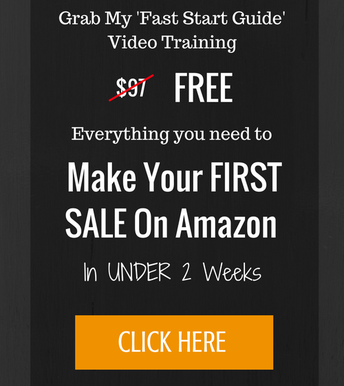 I wanted to give you a sneak peek into my theory on how to quickly grow your amazon business. I can’t say for certain how long it will take you to start a successful business, but what I can tell you is that if you follow the four phases mentioned above, you’ll achieve your desired success a lot quicker. If you want to break through your limits and get your first sale, get my Fast Start Guide Here.